Nearly 6 years ago in March 2012, I met with Mr Arvind Chaudhary, the then CEO of Jeevika and Mr Devraj Bahera, the then state project manager to explore if we could introduce Digital Green’s community-based video approach to promote good livelihoods practices in Bihar. Digital Green was then barely a few years old. We had however successfully developed an approach based on two years of field-based research at Microsoft Research in using video as a medium to promote good agricultural practices. We had found that if videos were produced by the community, featuring community members with a local intermediary screening these videos in an interactive, human-mediated format, the impact was high. Our experience was therefore limited to working with rural social networks through NGO partners. We did not have much experience of working with Self Help Groups nor with a large government program such as National Rural Livelihoods Mission. 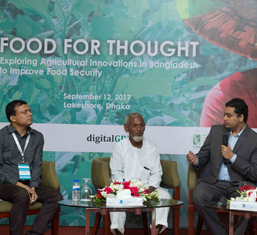 We were nervous and were not very sure if our approach tested primarily for agriculture sector would be successful in a multi-domain area like livelihoods. 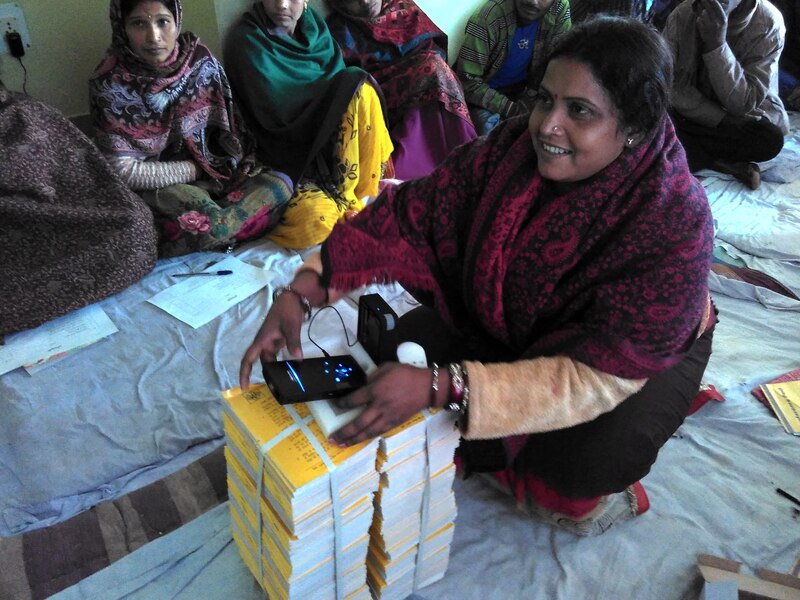 We began with some hesitation a pilot in one block of Muzaffarpur district and today we work in all the 38 districts of the state, have directly reached over 650,000 SHG women, produced over 550 videos on subjects ranging from agricultural practices to poultry, livestock, nutrition, health, sanitation, rural credit and SHG strengthening; have developed a cadre of over 50 frontline workers and community members to produce videos and trained over 5,500 community members to facilitate screening of videos using pico projectors in a highly interactive format. 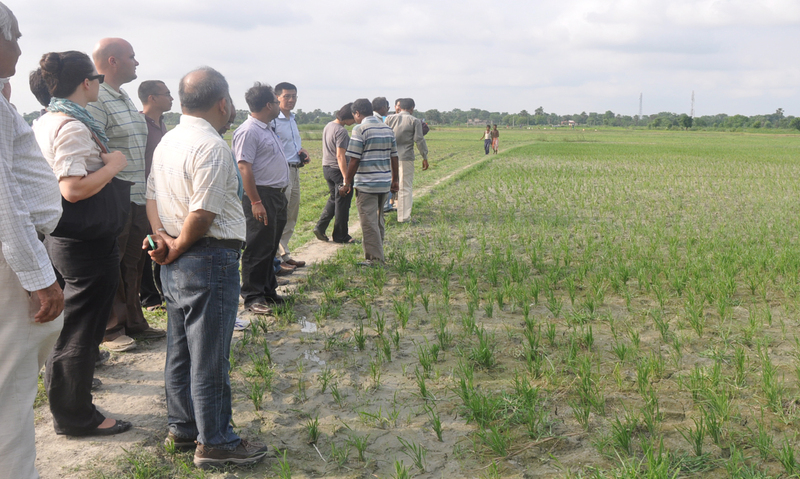 We were also able to scale this approach across 5 states through NGO and government partners to 1,200 villages and 60,000 farmers. 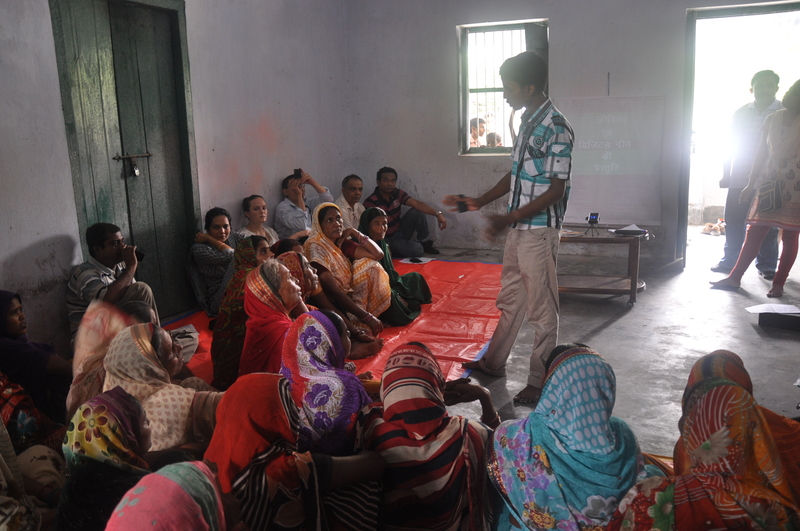 In Bihar, an in-house cadre of master trainers and master resource persons has been developed within Jeevika to provide training and assure the quality of operations. Our data management platform COCO – connect online, connect offline, that can be used both in offline and online modes, has proved useful to improve project activities as well as serve as a tool for performance management of the front-line staff. Increasingly, this approach is being institutionalized and mainstreamed within Jeevika so that it can be sustained beyond Digital Green’s current partnership. Looking back nearly 65% of the viewers have adopted the promoted practices. We believe that our efforts along with other interventions in introducing appropriate digital tools into agriculture value c hain have injected an entrepreneurial mindset in the rural women which can be harnessed to develop enterprise models. It is so energizing to see rural women making videos or disseminating them, holding discussions on the pros and cons of various practices. Apart from promoting good practices, this approach has resulted in empowering them in a variety of ways. I have been personally struck by their self-confidence every time I have watched a video dissemination in a village or interacted with them. In a workshop last week, we tried to understand better what made this project so successful. We sought to explore if there were any lessons that can be learned from this experience? Can this experience be replicated? Are there things we could have done differently? Reflecting on these questions one of the most important reasons that came to my mind, has been the successful partnership that Digital Green and Jeevika have been able to forge. On a dispassionate reflection, I have articulated the following 6 principles that seem to have been responsible for this successful partnership. 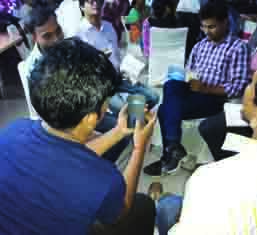 Jeevika had the peoples’ institutional base at scale and Digital Green the digital technology to leverage it to promote good practices in an accelerated and consistent manner. There was complementarity and we both recognised the need. 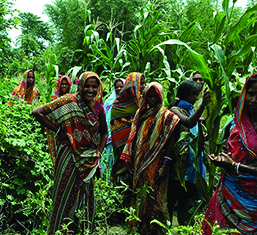 Both Jeevika and Digital Green are committed to empowering the poor to so that they can lift themselves out of poverty. So, we were clear in our purpose and accordingly our objectives were defined through an MoU. However, I must emphasize that we always went by the spirit of the cause and never by the letter of the MoU alone which brought us together. Jeevika’s leadership has always been committed to the partnership and despite several changes at the leadership level, we never faced any disruption in our work. Every time I have met with Mr Balamurugan (the current CEO), I have come back inspired and motivated. He is able to anticipate problems that we might be facing and offers solutions that are much more than what we expect. When we shared our new strategy and new methods we were trying out, his support was immediate and very encouraging. I still recall another instance when Mr Chaudhary (the former CEO) had shifted to the secretariat as Secretary and was also officiating as CEO, I requested for a meeting and despite being busy, he met and agreed to almost everything we requested and discussed. And by the time we reached the office, we were told that concerned staff had already received the communication. We have enjoyed unmatched trust not only with top leadership but also at the district and block levels. There is mutual respect for each other and it is so nice to learn during every visit, how much Jeevika staff values our work. As we implemented new approaches and innovations, we have never received any resistance and have always received unqualified support. We have developed formal channels of communication at the state, district and block levels through different platforms that meet every quarter, month or fortnight respectively. Each issue is discussed in detail, progress is reviewed, problems anticipated and resolutions found before they could surface. Beyond these platforms, staff are in touch and whenever help or an action is needed, this is provided immediately. Jeevika has proactively supported Digital Green to use its data management platform by providing data entry operators to enter data into the system routinely. The analytical dashboard is used to improve project activities and monitor the performance of frontline cadres and make payments to them. Jeevika encourages Digital Green to carry out third-party evaluations and studies to learn about the implementation challenges on the ground. Please click on this link to read a summary report about the workshop and view the photo gallery.